Step-sequenced Remix Decks make for a different level of Traktor performance – as much live as DJ. But it took an independent designer, not Native Instruments, to really push the concept. Images courtesy Tomash Ghzegovskyy. 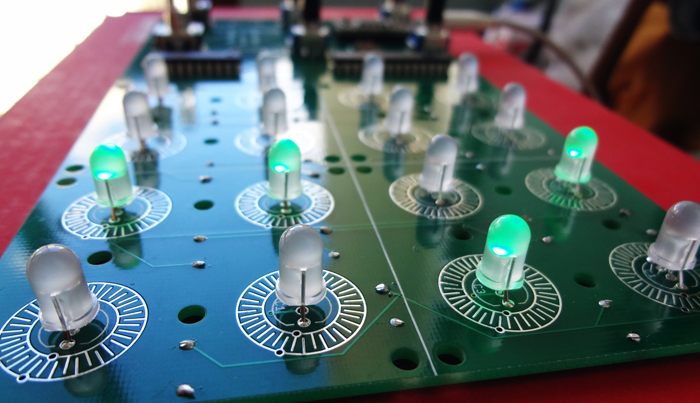 Light-up colored grids are hardly news in the controller scene. But what makes original, boutique hardware worthy of the name “Digital Warrior” is the unique take it brings to DJing and live remix – pushing the envelope with Native Instruments’ Traktor (all the while perhaps making even Ableton Live a little bit jealous). The new hardware takes Traktor’s Remix Decks and transforms them with built-in step sequencing, in a kind of mash-up of a lot of different techniques. You have to see the results in action to really appreciate how nice that can be. CDM reader and electronic music inventor Tomash Ghzegovskyy is the artist who created the hardware, and the best way to understand what he’s done is to watch him play. 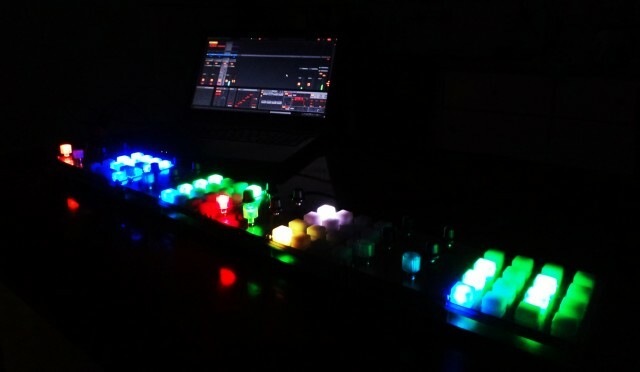 It’s like the monome and Traktor met in a club and danced until dawn. 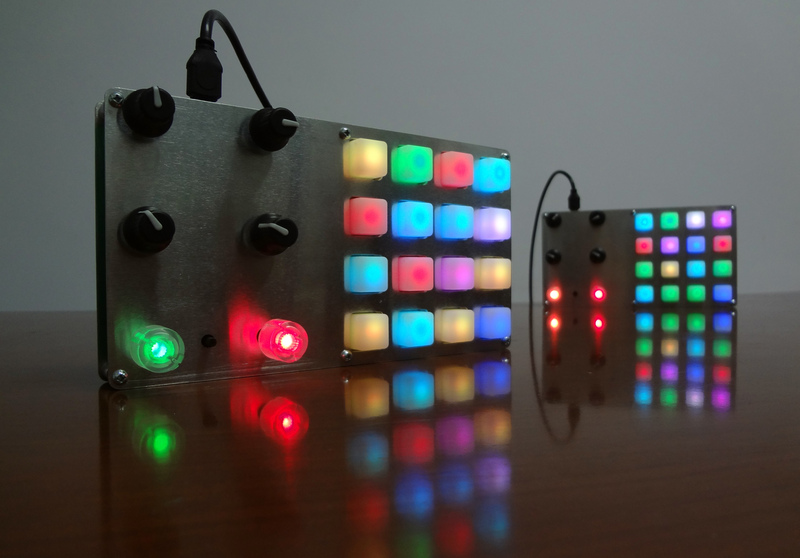 Heavily inspired by the Midi Fighter, Maschine and Ableton Push, is an light and compact midi controller. Its uneque feature though, is the ability to map Traktor’s remix decks to the controllers 32 step sequencer, giving the ability to rhythmically manipulate loops on the fly, without the need of running any DAW’s or expensive hardware. It’s all done via MIDI, so this could be adapted to other software, too. And the price is 120€ kit, 160€ assembled. Now, the build is not what you get from an Ableton or NI – these are standard pads and whatnot, and that means someone else might rig something up with their own software and hardware. But I like the idea from a performance perspective a lot. And there’s something charming about seeing DIY hardware in a Traktor rig. I hope we get to see this develop.